As a new owner, your vehicle is automatically enrolled in the Roadside Assistance program. The services are available at no cost under the terms and conditions of the program. The Roadside Assistance program is not part of, or included, in the coverage provided by the new vehicle limited warranty. Roadside Assistance provides assistance to the driver and passengers while driving the vehicle within your city of residence or on any passable road in Mexico, the United States, and Canada. Services are subject to the limitations described in the following pages. Program coverage varies by country. Roadside Assistance is available 24 hours a day, 365 days of the year. This program expires two years from the date of the invoice for the vehicle, regardless of vehicle mileage and changes in vehicle ownership. 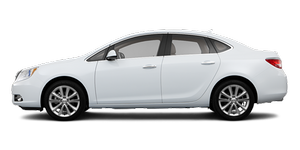 For more information about the renewal of this program at the end of its term, contact the Buick Customer Assistance Center at 01-800-466-0818.